Receive lower medical treatment cost as a Grabber! 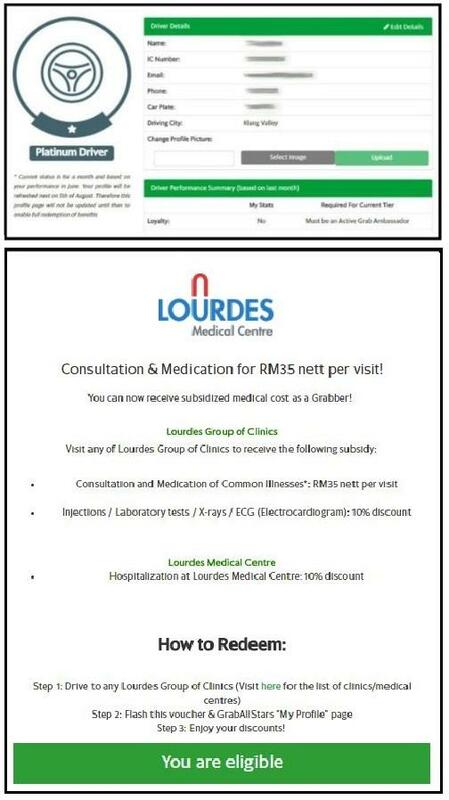 Grab is partnering with Lourdes Group of Clinics and Lourdes Medical Centre to support your medical cost by providing you (and your immediate family members) with cheaper consultation and medication. Common Illnesses*: Fever, Pharyngitis / Sore Throat, Cough & Cold, Food Poisoning, Diarrhea, Headaches. Click here for the list of Lourdes Group of Clinics and Lourdes Medical Centre. 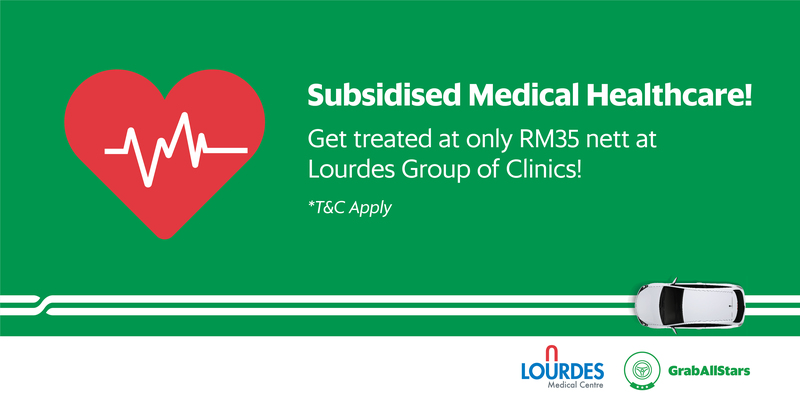 Step 4: Visit any Lourdes Group of Clinics or Lourdes Medical Centre listed here. Step 5: Flash your Eligibility Voucher and redeem your treatment discount! 1. 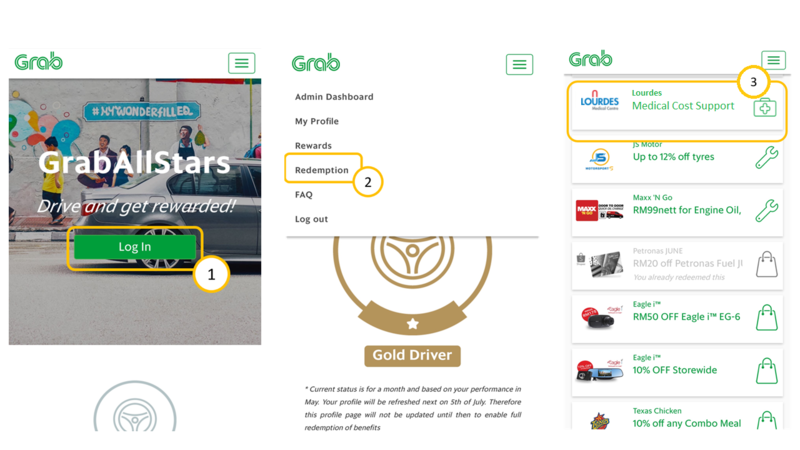 Your GrabAllStars Profile Page (for Car Plate and IC verification). 2. GrabAllStars eligibility voucher for Lourdes Group of Clinics and Lourdes Medical Centre. – Valid for common illnesses*: Fever, Pharyngitis / Sore Throat, Cough & Cold, Food Poisoning, Diarrhea, Headaches. – Valid only for Lourdes doctor’s prescribed medicine. Cost of medicine which is not included in doctor’s prescription will be borned by Grabber. – Valid for Silver, Gold and Platinum status in GrabAllStars. – Valid for immediate family members. – Valid from 12 October 2017 onward. Now, head over to the GrabAllStars portal and redeem your discount, exclusive for Grabbers only.